Water leaks are often thought of as simple problems that nobody thinks twice about calling professionals to fix. The problem is you don’t know what could be going on behind the wall or underneath the floor where that leak is coming from,or even in the dripping sink faucet. More often than not when something starts leaking and you notice it, your first thought it is that you’ll fix it, but often your life is so busy that you forget about it while meantime the problem is growing and as a result it causes damage to your home or a price gauge in your water bill. Another problem is that if you try to repair a water line leak, you might uncover a bigger problem such as rusty or corroded pipes, or another bigger issue that’s causing the small leak. So don’t hesitate to call a professional plumber any time you uncover any of these small problems because even if they’re simple fixes, it is better to be safe than sorry. Usually these problems can be addressed quickly, but if you can’t figure out what’s causing the leak in the faucet you should call the professional plumber immediately. Even if it’s dripping at what appears to be a slow rate, at the end of the day it will run up your water bill to a high expense. Always make sure that when you turn the water to off in a sink, it completely stops coming out of the faucet. Sometimes toilets have problems such as the refill pipe that returns water into the reservoir not stopping and overfilling it, or a broken float or flapper that continues to release water in the bowl. Usually small parts like the float and flapper can be found at a home repair store, but occasionally the problem may be coming from the water line. If it’s a bigger problem such as a toilet improperly flushing or water leaking out the bottom when you flush it, a professional plumber should be contacted immediately so your water is not wasted and to make sure your sewer has no issues. If you notice any drips or any dark spots or unusual lines in the walls, ceiling or floor, it’s usually a sign that you need a water line repair done immediately. 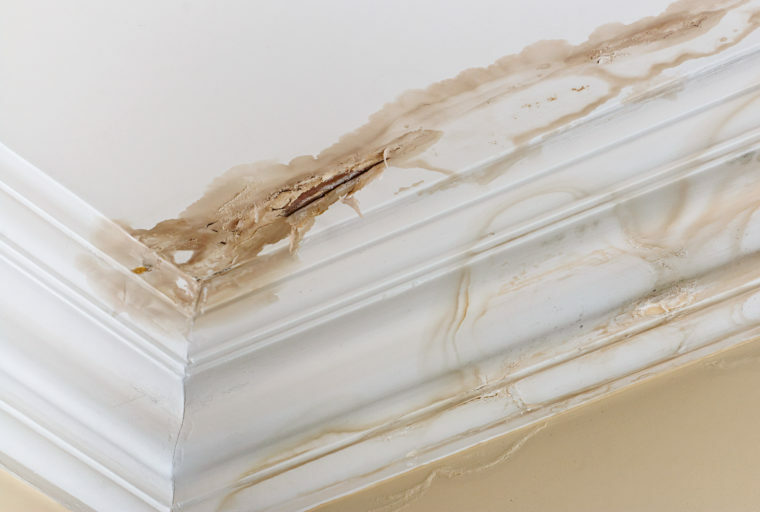 You cannot let these problems go unattended because it could lead to dangerous situations such as a floor or ceiling collapse, drywall repair expenses, and mold and mildew problems which can be very detrimental to your health. Any time you notice even small wet spots in any area, you should shut off your home’s water supply and get a hold of a plumbing company immediately to fix the problem. In addition to water lines, sewer lines can also have problems that become noticeable if they are left alone. 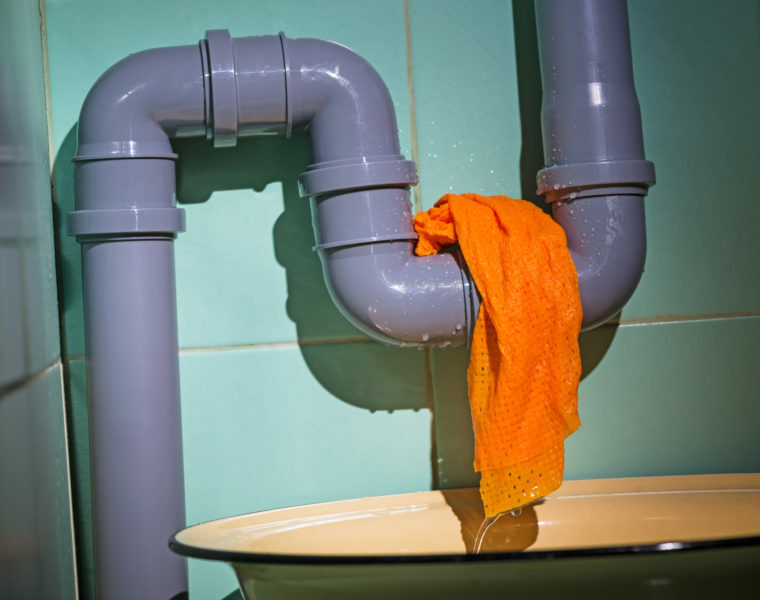 If you start noticing odd smells coming from sink, bathtub or shower drains, chances are likely that your sewer is clogged or leaking somewhere. Professional plumbing companies have special sewer leak detection tools that can go down sink and toilet drain pipes to find out where the source of the problem is. You don’t want a leak or a clog to go unchecked because waste could buildup in your home and create a very unpleasant environment for you or your family. If you have water leaks or sewer leaks on your property, they can be noticeable if you have wet spots in your yard that appear when it doesn’t rain or when sprinklers are not running. Any time your grass is unusually wet or you notice any strange smells coming up from the ground, you may want to get a hold of the plumbing company to make sure that your water line or sewer system is all right. Not addressing sewer issues immediately even if they’re outside could still be hazardous to the health of people and pets. A sewer leak also could damage your lawn and soil if you don’t take care of it right away. If you start noticing water that looks rather murky, discolored or has debris coming out of the faucet, you should stop using it immediately and have the plumbers come to look at your pipes. These kinds of signs could indicate badly damaged pipes either within your home, or coming from the water supply lines outside your home. You should never drink discolored water that’s coming out of your faucets because it could be contaminated by rust or other hazardous substances. Plumbers can run a pipe leak test to determine what might be causing the water problem, and if necessary they may recommend that your pipes be replaced. This is the most likely action if you have an older home that hasn’t had pipes replaced in years and may have old copper or stainless steel pipes. 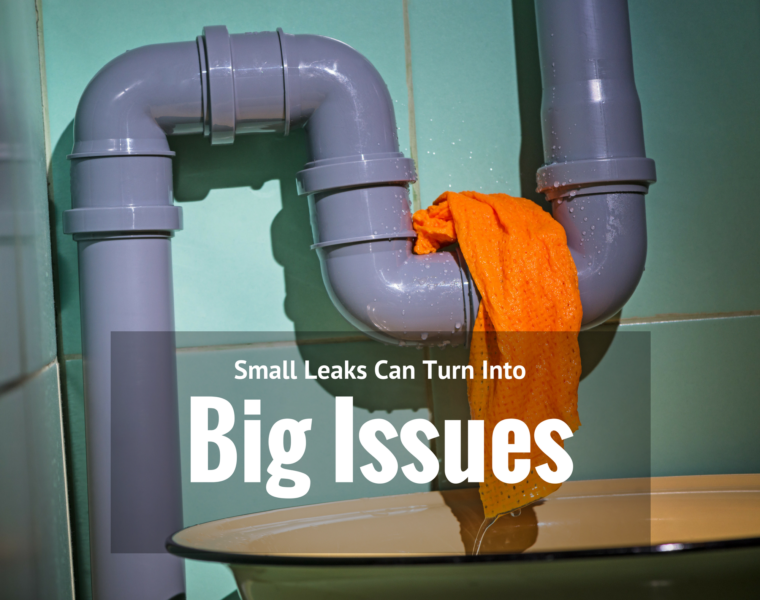 Whatever the cause of your leaks, you will save a lot of money in the long run by calling the plumber to your home. You might think calling the plumber could entail a lot of intrusive work such as cutting through drywall or digging trenches in your yard to fix the problem. But the truth is technology has involved a lot through the years that now pipe lining and sewer repair services have methods that don’t require cutting through walls, and can also be trenchless. But in the event that they do have to make any invasive procedures, they will do so in as precise a manner as possible and with as minimal invasiveness as possible. Just remember that the longer you wait to have repairs done on your system, the more expensive your repairs will be.